Fort Louden was built in 1756-57 by British colonists to serve as a diplomatic and trade center with the Cherokees inhabiting the region. An underlying objective was to discourage Cherokees from allying with the French in the Seven Years War (1756-1763). 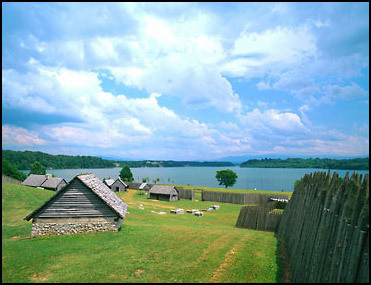 This goal was met, but relations deteriorated and the fort was abandoned under siege by Cherokees, in 1760.